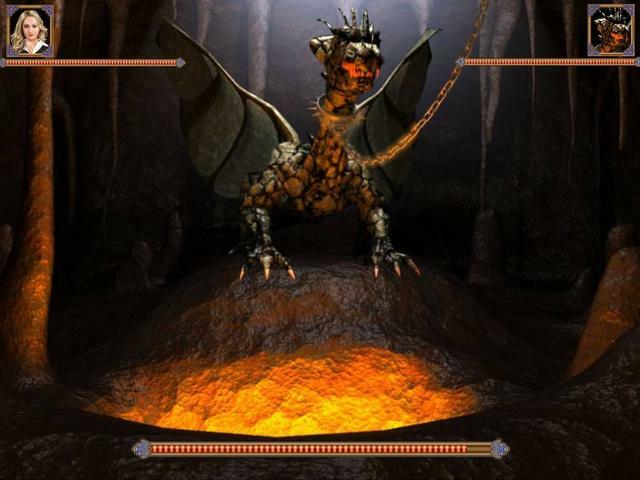 Solve the mystery of the Dragon Prince! 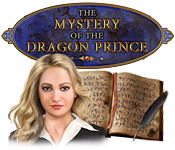 The Mystery of the Dragon Prince was available as a giveaway on January 6, 2019! 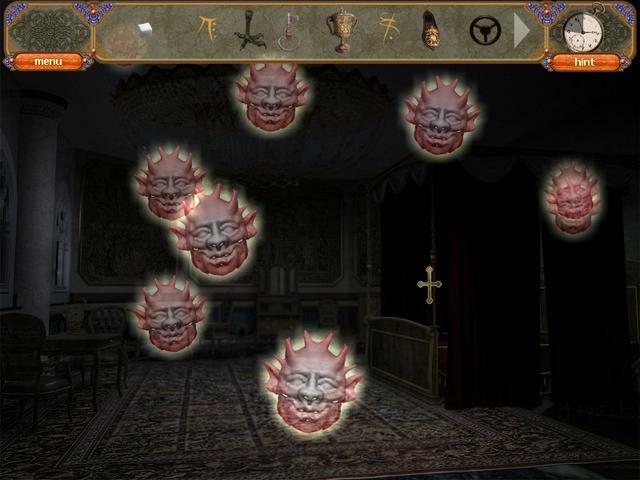 Explore an ancient castle that has been cursed! 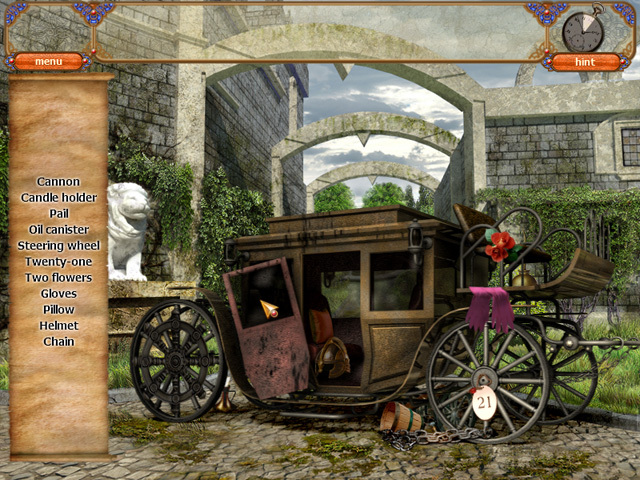 Solve the mystery of the Dragon Prince in this exciting Hidden Object game! 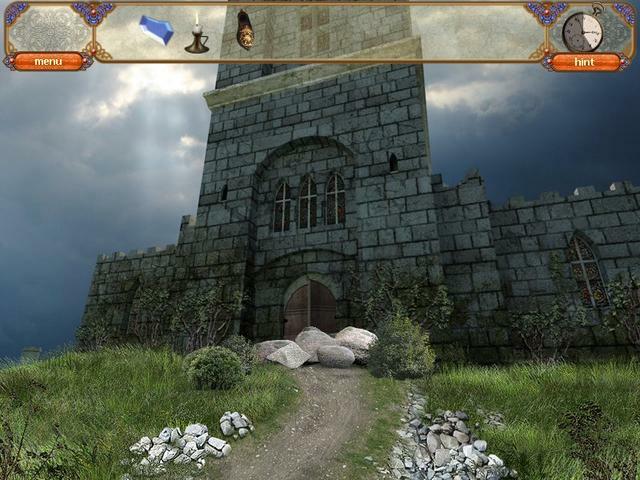 After receiving an invitation at home, set off on an exciting adventure inside of an old castle. 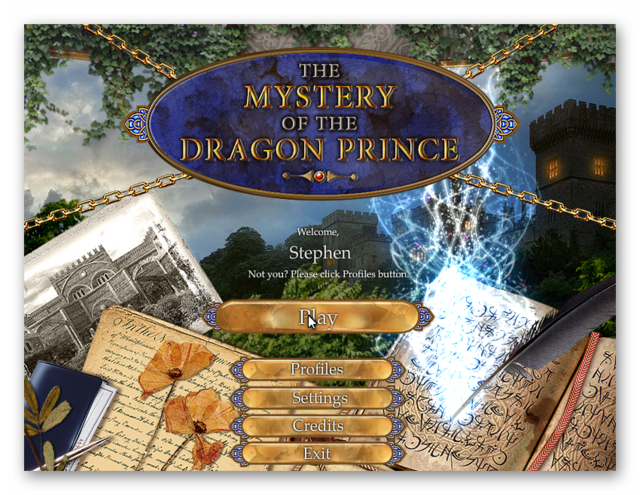 Solve puzzles, find Hidden Objects, and explore different rooms in The Mystery of the Dragon Prince! How would you improve The Mystery of the Dragon Prince? The following review is divided into several sections (see the list below). Some are specifically for the actual review, others for installation and problems with the game, suggestion for those able to post their own opinions of the game plus a final section that links to other games, which I've added in case you don't fancy todays game. However, if you prefer a different path for installation for example I use G:\Games\ name of game instead of 'C:\Program Files (x86)\MyPlayCity\name of game'. You can edit the default path when the Setup - The Mystery of the Dragon Prince - Select Destination Location window appears. Four shortcuts are installed to the desktop, three of which can be safely deleted (i.e. Play Online Games, MyPlayCity Games and shortcuts to a free online game; the name of which may vary each week). 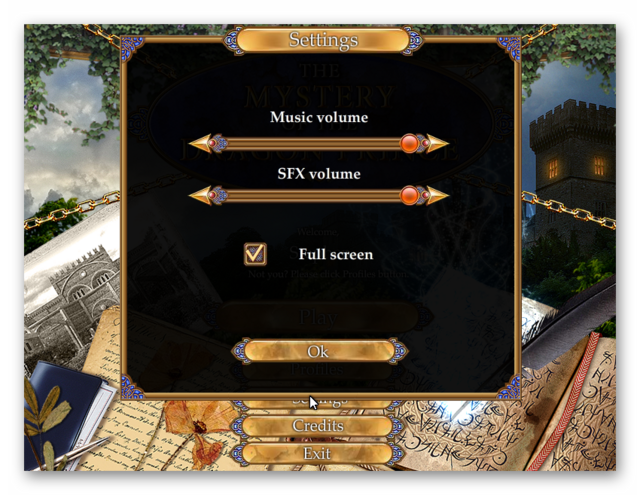 If you don't want to install the games shortcut to the desktop during installation, just make sure the install desktop shortcut is unchecked when the 'additional task's window appears; you will still get two of the other MyPlayCity shortcuts installed i.e. the Play Online Games and MyPlayCity Games shortcuts. Also, if you don't like icons installed to the quick launch task bar, make sure you also uncheck the appropriate checkbox when the 'additional task's window appears (after the Select Start Menu Folder window). 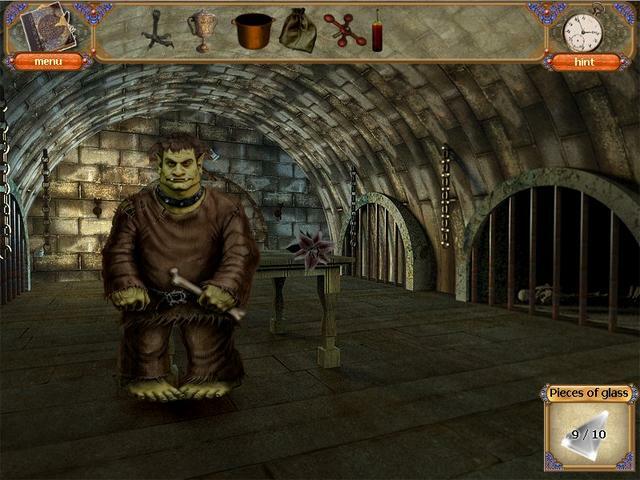 Nevosoft has a long and fairly accomplished track record in the casual realm, with popular games like Mushroom Age and Vampireville to its credit. 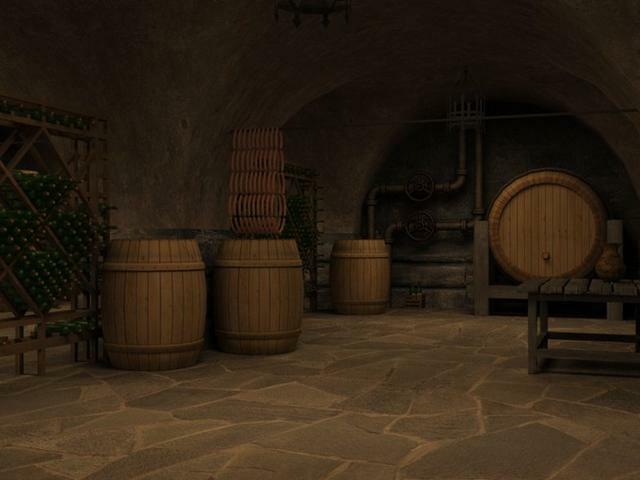 That’s what makes The Mystery of the Dragon Prince such a surprise, as it’s a badly dated, poorly executed hidden object hybrid adventure that doesn’t come close to the company’s own highest standards. The premise is simple enough: A woman named Anna receives a letter imploring her to come to an old castle to save it, but the letter is 200 years old. 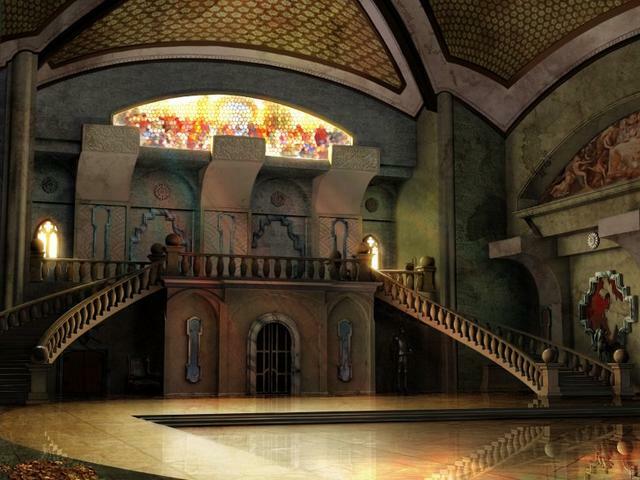 Intrigued, she heads off to this castle (apparently she knows where it is from only a picture, because its location is never otherwise specified) and discovers that it’s fallen under a dark magic spell that has mystically preserved it, empty and unchanged for two centuries. 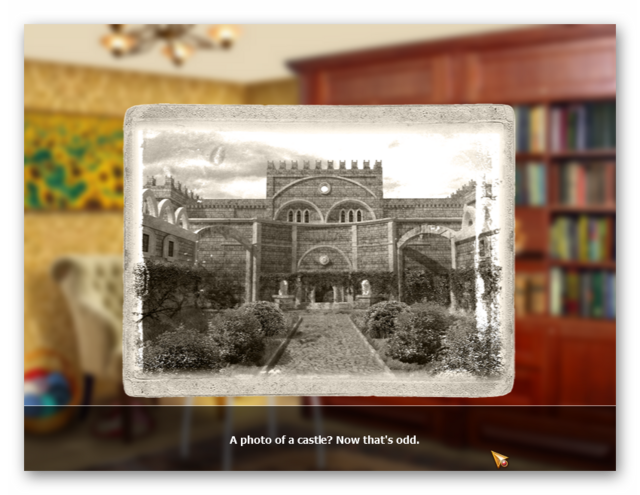 At the urging of the old gardener who calls her “Countess”, Anna’s challenge is to explore the castle, solve its puzzles, and try to undo its curse. This is easier said than done, as the original spell distorted some castle functions, including simple door locks. That sets up the convenient opportunity to roam around looking for crystals, keys, and practical items like matches and water faucets. 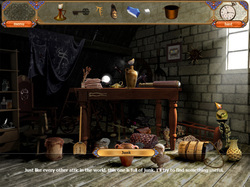 Some are found in the main environments and others in hidden object screens that feature an annoying amount of shuffling items around to see what’s behind them. Apart from that, it’s a very traditional casual adventure hybrid, really, but there’s just nothing to support it. The hazy graphics would have looked bad years ago, there is no voicework of any kind, and the music is eminently forgettable. The presentation isn’t the only shoddy element, however. Though interative areas sparkle, it’s very difficult to find exits in the castle’s meandering layout, making it easy to overlook new areas. The hint option charges glacially and is totally useless for most of the standalone puzzles. When confronted with a tiled jigsaw or pipe alignment task, it brilliantly highlights one square, as if that’s supposed to mean something. 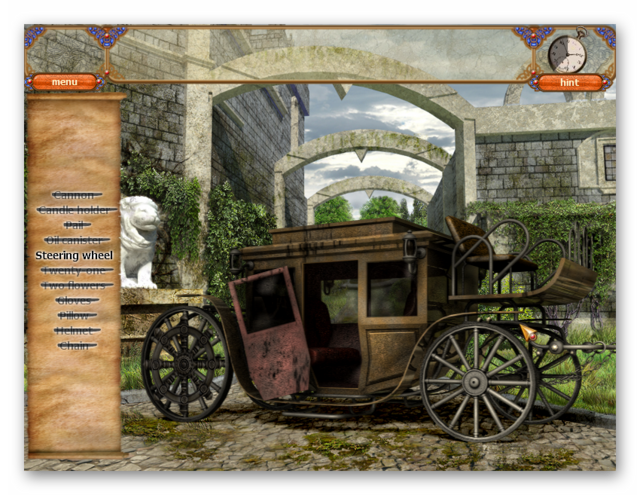 That’s it for help, too, as there’s no skip option at all, no hints whatsoever for the adventuring segments… and no notebook, no map, no objective list, or any of the other modern conveniences casual gamers have come to expect. There are a few promising encounters with a dwarf, troll, and dragon, but these quickly fizzle out. With no compelling story or gameplay driving you forward, then, in the end there’s really no reason for players to bother. You can see several in-game videos of game play HERE, HERE, HERE, HERE (part 1) & HERE (part 2) and a written walk through HERE. If you miss today's game giveaway you can always get the game via MyPlayCity 24/7 HERE; or If you prefer to purchase the game you can get it HERE via Big Fish Games. If you're having problems installing or activating or getting The Mystery of the Dragon Prince to work please visit the FAQ's Thread HERE and read through the communities comments because sometimes fixes have already been posted, for example, a common issue seen since the Themida wrapper was introduced three years ago is that some community members installation of the game are blocked by their security because Themida code has been known to hide malware, (usually an error message is flagged for example 'The executable is corrupted' even though in reality it is not); so as a precaution some anti malware programs will block and even delete the suspect installation files even though the files (i.e. the setup, read me and setup.gcd files are actually totally free from malware. This issue can be solved either by rebooting your computer in safe mode with networking or a quicker method is to temporarily turn off your security software to allow the installation. You could also try white-listing the setup.gcd file. In the almost 12 years this game giveaway site has been operating there has 'never' been a game given away that was infected with malware. I'd like to take this opportunity to thank MyPlayCity for giving away The Mystery of the Dragon Prince and also to the game giveaway team, as always, for securing other ways to get free games. If The Mystery of the Dragon Prince doesn't interest you, but you still hanker for something new to play, you'll find details of some game deals whether they be sale items, indie bundles or games being given away for free HERE (I've not updated the thread in a while, but most of the links still take you to the latest deals). Hi, Stephen! Hope you had a fine Xmas & New Year, aside from that hack you reported a few days back (BTW, did everything work out fine there?). Thanks as always for all your care and friendship. Hi, thanks and yes, all was sorted. :) Hope you have a happy and successful year. When i click on the paper on the door it just disappears. I tried it with different profiles as you cannot go back to it. I use My Play City games a lot but have never had a problem before. My preference is hidden objects so hopefully a better one will come up soon. I am totally disappointed. It downloaded and installed fine, but playing it was a nightmare. If you missed what was said when you entered a spot, forget it, you had to wing it. I spent an hour trying to figure it out, then I uninstalled it. These types of games are my absolute favorites, but not this one! It needs a total makeover. Hp Pavilion 23 All in One Windows 10 64 bit. Hi Marshell, thank you for your feedback. My impression is that this looks an awful lot like an unfinished high school (or junior high) programming class project that got turned in for partial credit when the deadline arrived and time ran out to get it done. VERY inconsistent. Some items you find are labeled, most are not. Good luck figuring out what they are. 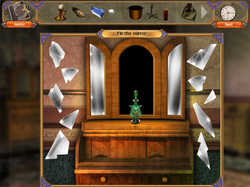 Some mini-games have a "Skip" in them (thank gawd), some do not. 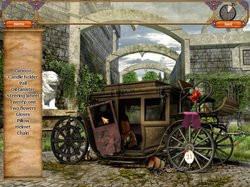 Apparently "Hints" only work for hidden-object puzzles, no help at all if you're completely lost as to what to do next. 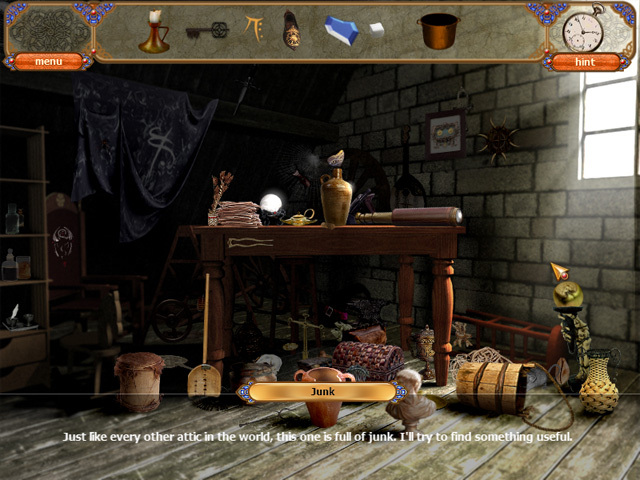 Most hidden object puzzles (and many screens in general) are just dismally dark. Be prepared for MUCH "blind-clicking". 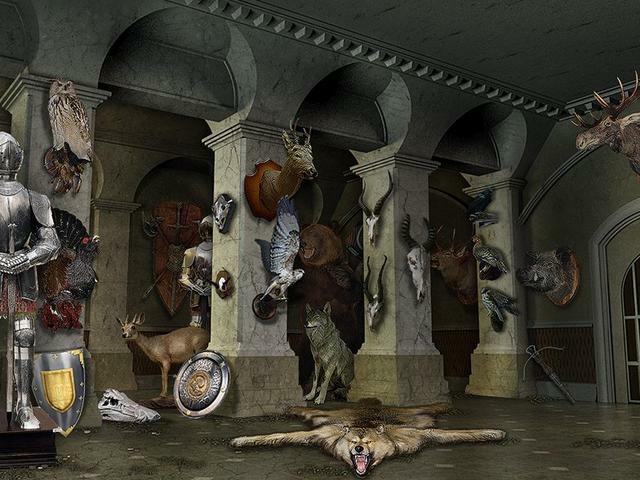 Be sure to click all over the dark areas because many objects are just hidden in black areas. Turning up the screen brightness -might- help, but then it would make other areas way toooooo bright. Argh. And worst of all, no logic to anything. I've got a bunch of objects with no purpose, no labels to identify what they might be, and nothing to use them for. No, actually worst of all... I used to write text adventure games at the dawn of the computer era and this thing is just insulting. I truly hate to be critical of a free game, but... My impression is that this looks an awful lot like an unfinished high school (or junior high) programming class project that got turned in for partial credit when the deadline arrived and time ran out to get it done. VERY inconsistent. Some items you find are labeled, most are not. Good luck figuring out what they are. 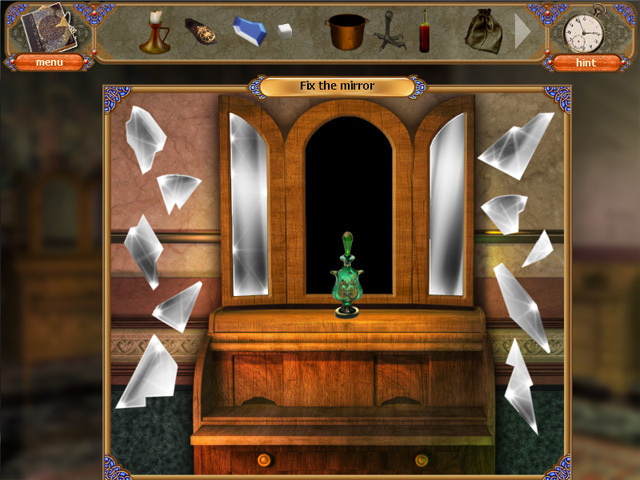 Some mini-games have a "Skip" in them (thank gawd), some do not. 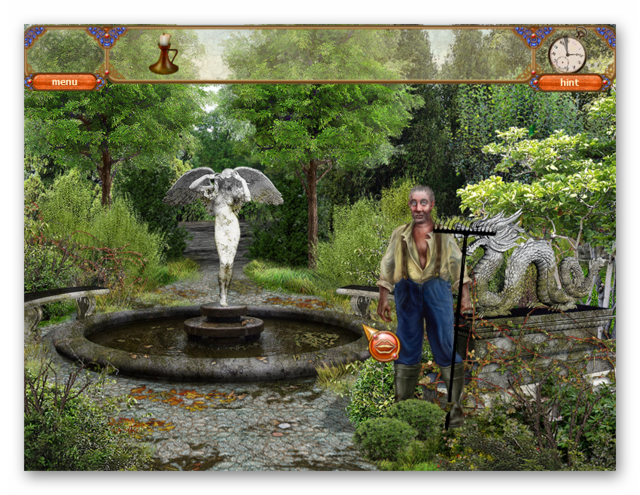 Apparently "Hints" only work for hidden-object puzzles, no help at all if you're completely lost as to what to do next. 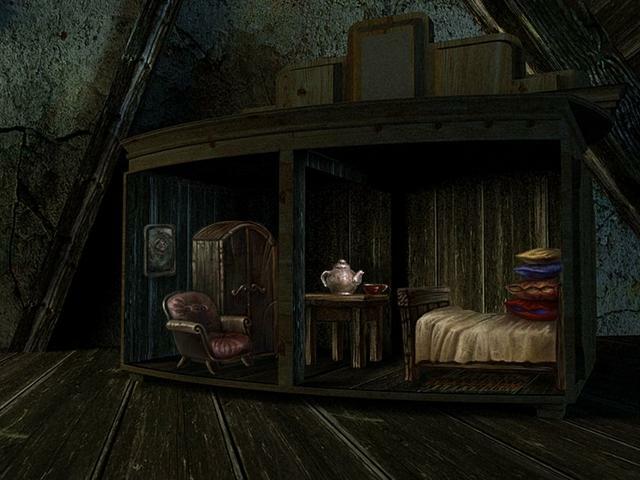 Most hidden object puzzles (and many screens in general) are just dismally dark. Be prepared for MUCH "blind-clicking". Be sure to click all over the dark areas because many objects are just hidden in black areas. Turning up the screen brightness -might- help, but then it would make other areas way toooooo bright. Argh. And worst of all, no logic to anything. I've got a bunch of objects with no purpose, no labels to identify what they might be, and nothing to use them for. No, actually worst of all... I used to write text adventure games at the dawn of the computer era and this thing is just insulting. No cigar. Hi BobR, there's no need to feel that way. That's what this comments section is about. Both positive and negative feedback. Thanks for taking the time to post your thoughts. This is a family site, so please refrain from using unacceptable language. Thank you. Installed and ran OK, but I guess I need to use the walkthrough because some aspects seem to not work if I miss them initially. I think I missed some "dragons" in the trophy room, but I can't get back in anymore so I'll start over and use the walkthrough to make sure I get everything. Other than that, the game is kind of annoying just the way its set up. If it weren't for the fantasy theme, I would have given up and uninstalled it already. 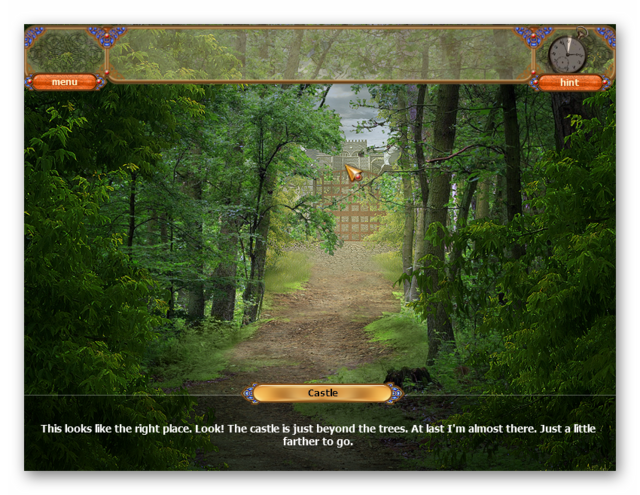 I am using windowed mode and it's otherwise OK but nothing to write home about. 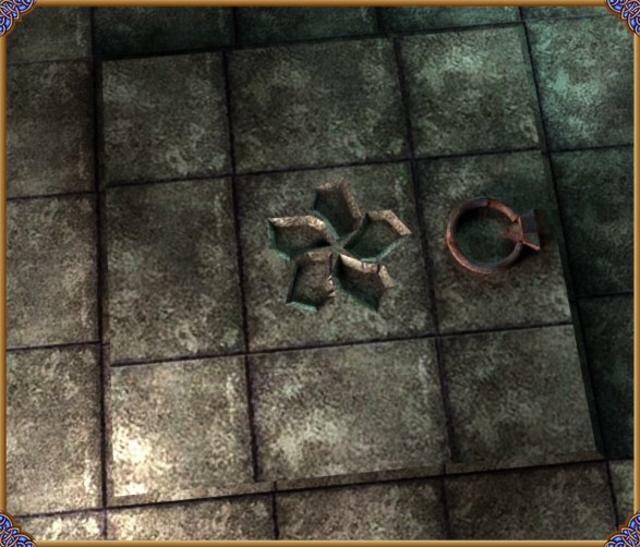 The hints button takes a long time to reload, and some of the HOG scenes are barely see-able for small objects. The jigsaw puzzles have been OK, and there was a numbers puzzle that I was able to figure out too. I didn't do so well on the "safe steps" puzzle, but I am not very good with those. Luckily, I was able to skip it. Play this if you have patience, good vision and like a fantasy theme, but it might take awhile to finish. Windows 10 Using Windows Defender - no problem downloading, installing or playing. However, it's a very primitive game. The sound does not shut off in all screens. The hints take a very long time to reset. No skip key for dialog. I had no problems installing and running this game. This one is a tough one - no tutorial and no 'map'. Hints only work on the search screens so sometimes I don't know what to do next and I end up doing a lot of wandering around. 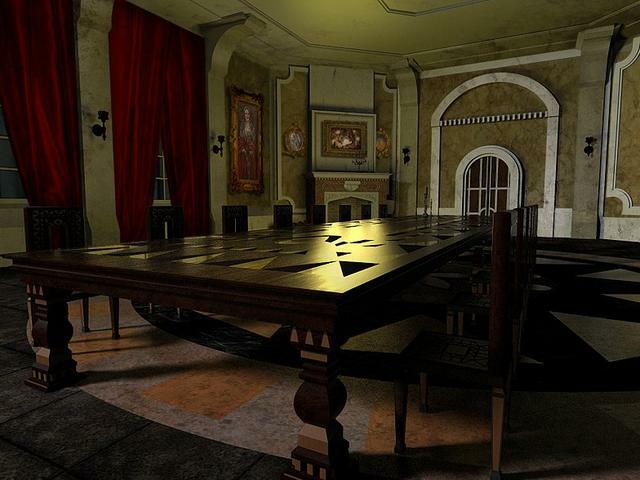 I am running the game on a 15" laptop and some of the scenes are dark and hard to see objects. I do a lot of blind clicking (luckily no penalties). I am enjoying this game despite the frustrations. Thanks White Rabbit! Lighten your computer screen to where you can see things better. I have my laptop connected to my 68" tv. Makes the internet a lot better. Hope this helps. Oops, it was already posted with the video links. Sorry! Sometimes I post too much and things get buried. So it's useful to have links posted by others. thanks. D/L'd and installed fine. Even though I'm used to these games (which I really like) having very silly premises, this one takes the cake, but got past that and was kinda enjoying the game. But the hint button does NOT seem to work at all. Clicking it gives me a question mark but doesn't tell me anything. 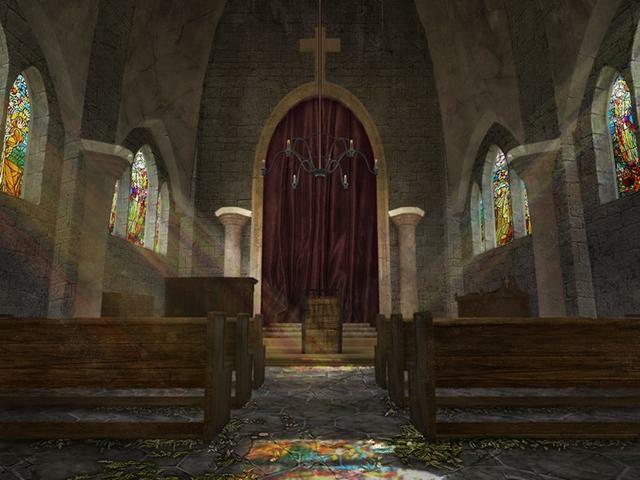 Is it only good for finding hidden objects? With no map to see where to go, a working hint buttom to lead me to the next task would be useful. If anyone has a suggestions about getting the hint button working, that would help. Meanwhile, there is a written walkthrough and that has guided me to the next task but of course it's a pain to minimize the game screen, go to the walkthrough, and then set it to fullscreen again. Going to stick with this one since the puzzles seem fun, but really would like to get a normal hint button. And developers, please have working maps that actually transport you (a pretty common complaint here.) Overall, though, seems worth downloading and I'll keep at this one. D/L'd and installed fine. Even though I'm used to these games (which I really like) having very silly premises, this one takes the cake, but got past that and was kinda enjoying the game. But the hint button does NOT seem to work at all. Clicking it gives me a question mark but doesn't tell me anything. 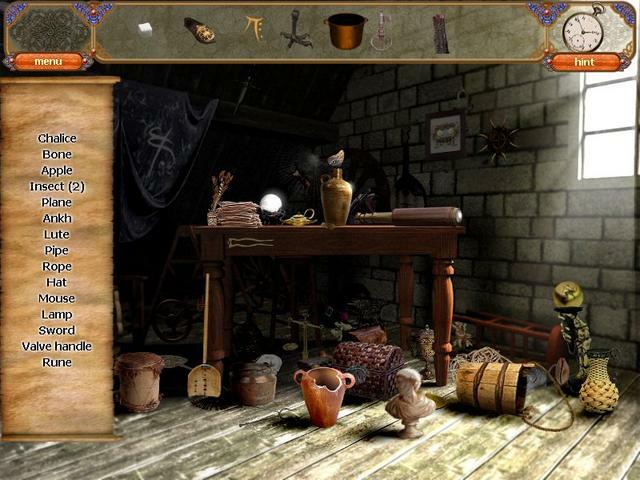 Is it only good for finding hidden objects? With no map to see where to go, a working hint buttom to lead me to the next task would be useful. If anyone has a suggestions about getting the hint button working, that would help. Meanwhile, there is a written walkthrough and that has guided me to the next task but of course it's a pain to minimize the game screen, go to the walkthrough, and then set it to fullscreen again. 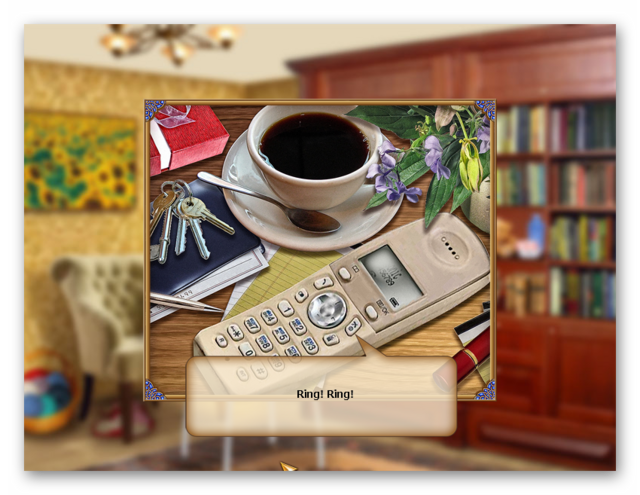 Going to stick with this one since the puzzles seem fun, but really would like to get a normal hint button. And developers, please have working maps that actually transport you (a pretty common complaint here.) Overall, though, seems worth downloading and I'll keep at this one. Finished the game so wanted to update: For an afternoon's diversion, the game was well worth playing, though the absence of hints except for search (where I didn't need them---the searches were not terribly hard once you understand that objects are behind other objects to be moved out of the way) made deciding where to go next difficult. The written walkthrough was a must for me a couple of times in understanding what to do next, especially navigating the tunnels towards the end which are very tedious, and it took me a minute to realize what to do with the very last puzzle, but overall, fun! Done all you suggested, but still the same, archive is corrupted…. ceili, Just to be clear, is it trying to unZIP the archive file that you see the error message? Or do you see the message — after you have unZIPped the files successfully — when you run the SETUP file? Hi, did you use the original zip file or did you re-download the game from the giveaway site? If it was the former, the contents of the zip file that the security suite you use will have deleted them, so you will need to re-download thee whole package again. Hope this helps. two suggestions before you give up on the game. First suggestion, did you check the compatibility settings? The game is quite old. If you have a fairly new computer and/or a new monitor, it may not run well unless you adjust the settings in the compatibility mode. To do this, right click on the games shortcut or the installed games exe file and select properties. when the small window opens select the compatibility tab. Then check various check boxes to see if that helps. finally, you could try the MyPlayCity (MPC) download, the only difference between the game giveaway and the MPC version is that a folder that contains toolbar installation files has been removed from the giveaway version, otherwise it is exactly the same. ceili, I had no issues. Perhaps something went wrong during download, perhaps try redownloading it? ceili, sometimes the anti-virus will interfere. Try to pause the anti-virus for just a moment and give it another try. Also some older files in the temp can give some trouble; open the Explorer and open %temp% and empty this folder. ceili, sometimes the anti-virus will interfere. Try to pause the anti-virus for just a moment and give it another try. Also some older files in the temp can give some trouble; open the Explorer and open %temp% and empty this folder. I had this issues some years ago and found using a different archiver such as 7 Zip sorted the issue. The other reason for such a message is as already mentioned your security may be blocking the installation. This is due to the Themida wrapper, which has been used by unscrupulous people to hide malware; so some anti malware suites automatically block anything with Themida code. If you are not happy temporarily turning off your security, try white-listing the giveaway files with your security.